Religion is taught every day Kindergarten through 8th grade. On Friday we have an all school Mass in which students participate as lectors and altar servers as well as other roles in the Liturgy. We are extremely proud of our students’ academic performance. 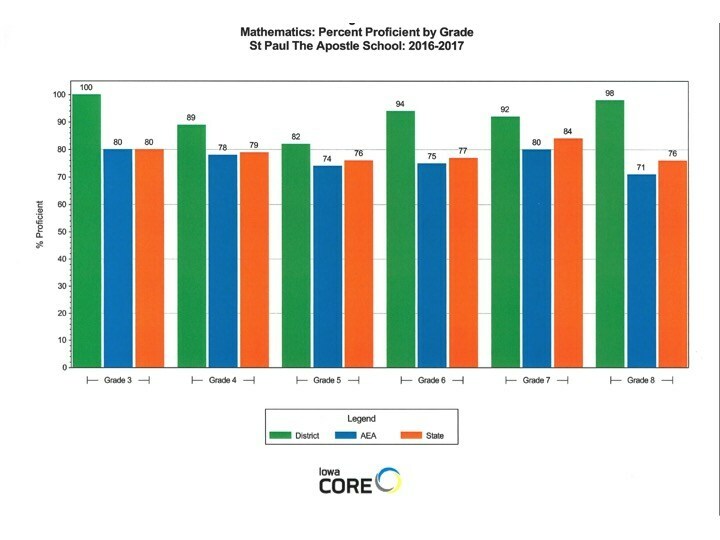 Each year St. Paul students take the Iowa Assessments (formerly the Iowa Tests of Basic Skills), and our children do a wonderful job! Above are graphs showing statistics from our 2013-2014 school year Iowa Assessments. We are very proud of our students' achievement. 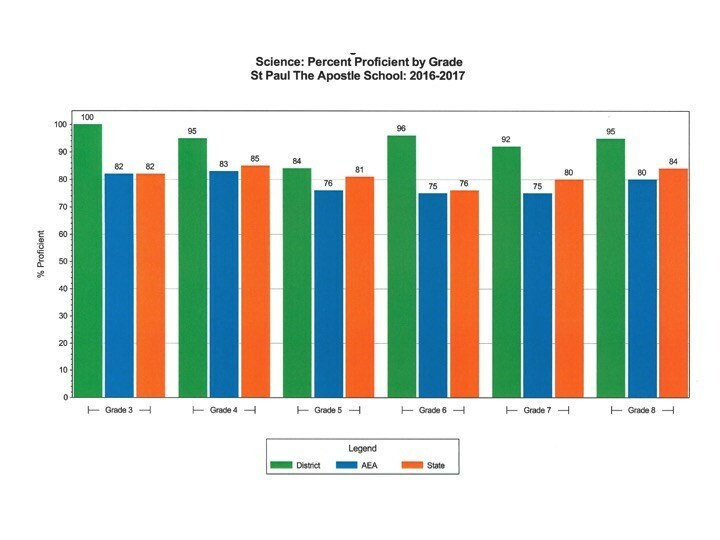 St. Paul the Apostle Catholic School curriculum includes Common Core English Language Arts, Math and Science. We also have adopted the Iowa Core Social Studies and 21st Century Skills. Spanish is taught Kindergarten through 8th grade. K-6 students receive instruction once a week. 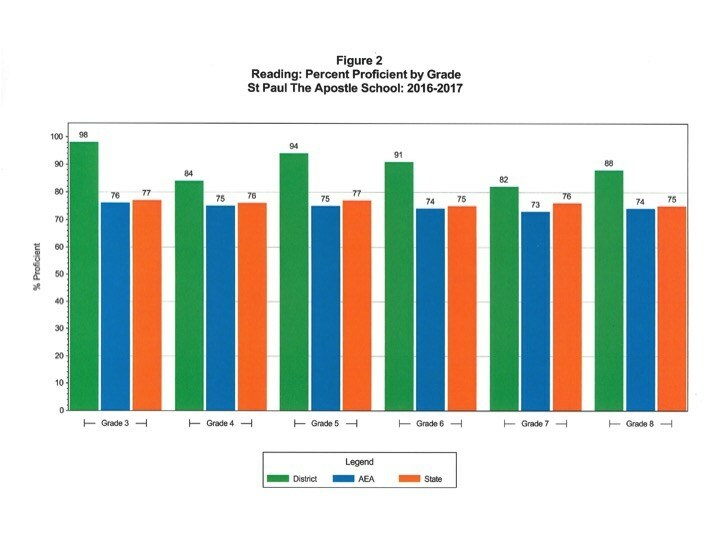 Students in 7th grade have Spanish every other day and 8th graders have Spanish every day.